Hawaii Native Status: Introduced. 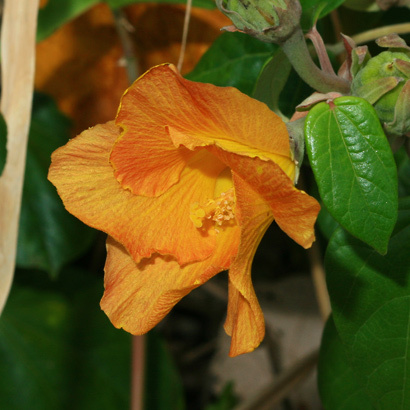 This naturalized canoe plant is native to Melanesia, Micronesia, and parts of Polynesia. Description: The flowers only last for one day and gradually change colors as the day progresses, opening yellow in the morning and then turning red or orange by late afternoon. 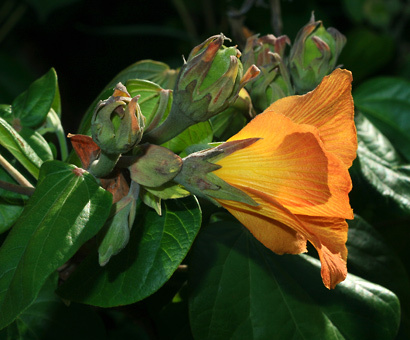 The flowers are 3 inches (7.6 cm) across and have 5 broad, egg-shaped, crinkled petals in an overlapping pinwheel, green to red-tinged, lanceolate sepals, and a central staminal column with a 5-branched, reddish purple to yellow style. The petals are either solid-colored or have brownish red to dark maroon at the base. 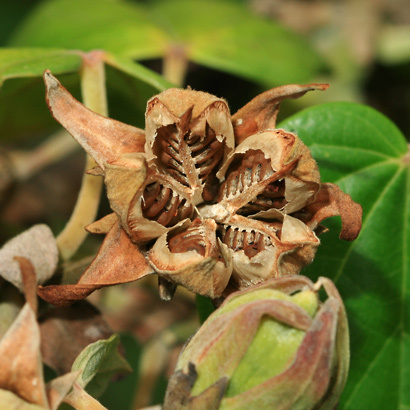 The flowers are followed by oval, beaked seed capsules that split open into 5 sections. 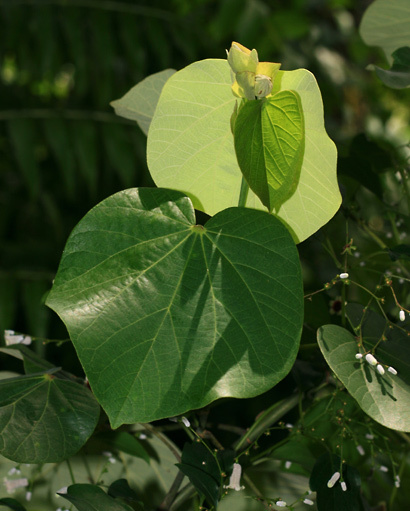 The leaves have a pair of leaflike, deciduous stipules at the base of the petioles and are glossy green above, fuzzy light green below, and heart-shaped. The plants have curved, spreading branches and a crooked trunk with gray or light brown bark. Here in Hawaii, Hau grows on beaches, along coastal waterways, and in other coastal lowland areas, where it can form dense thickets. 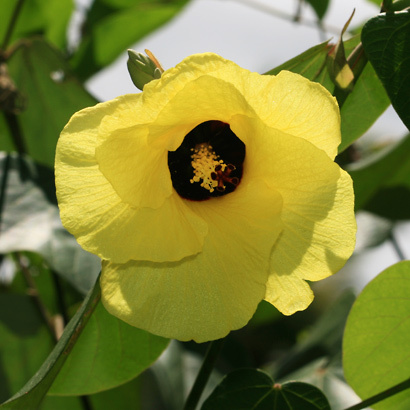 The similar Milo (Thespesia populnea) also grows along the coast and has color-changing flowers and heart-shaped leaves, but it has only half-opened flowers and a cup-shaped floral calyx lacking the conspicuous lanceolate sepals found at the base of Hau flowers. 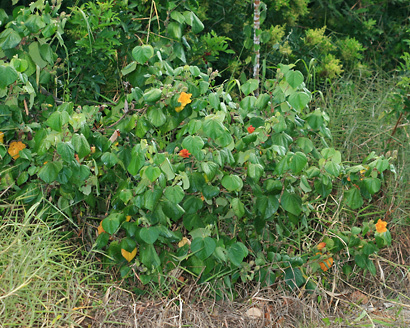 Canoe Plant – Hau was brought here to Hawaii by the ancient Polynesians in their canoes. They used the tough, light wood to make canoe outriggers, fishnet floats, and fire starters. The young bark was used for cordage. The bark and other plant parts were used for medicinal purposes.